After the holidays, I spent some time perusing old food magazines, especially the winter issues. 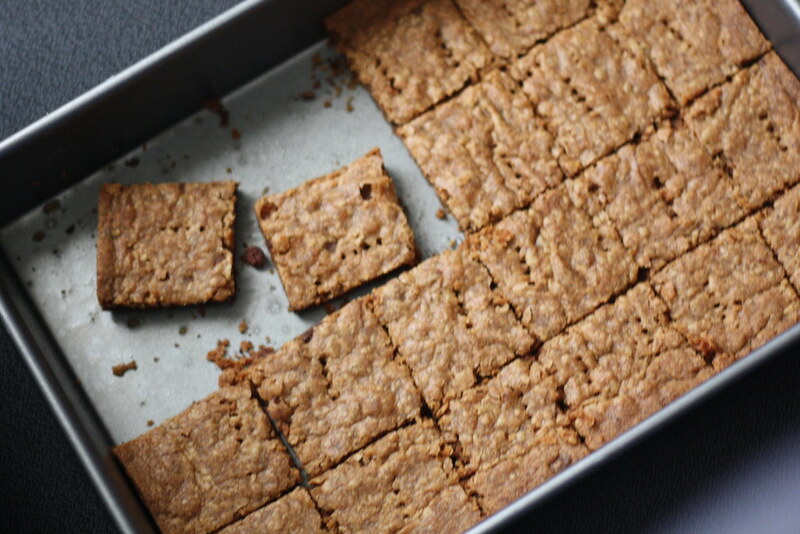 I found this recipe from Molly Wizenberg’s column in Bon Appetit, and the bars sound fun and tasty, and I was ready to try something different. I almost had all of the ingredients, but because I only had light brown sugar, I added just a little blackstrap molasses to up the molasses flavor. The scent wafting from the oven was amazing. I’ve had a love affair with coffee for years, and though I don’t often indulge in toffee, every now and then it just hits the spot. 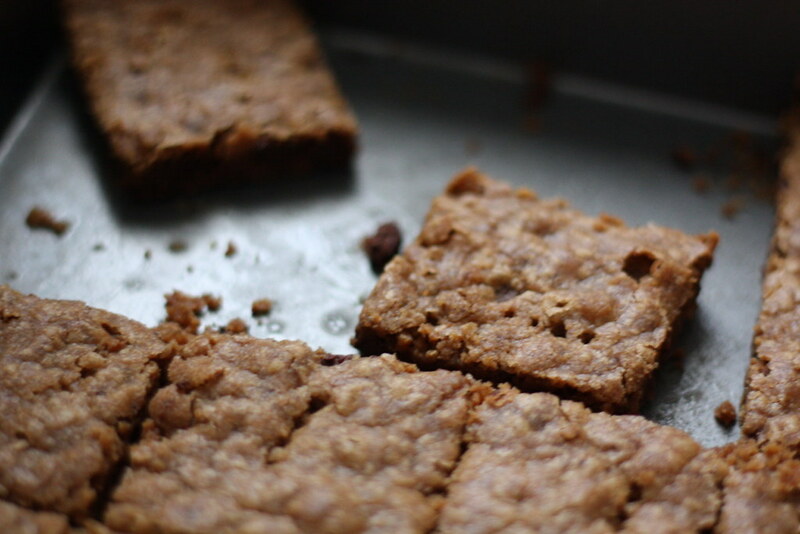 I grew more impatient to try these bars as their scent invaded more of my home. Finally! I was able to take them out of the oven and cut them, but I couldn’t wait until they completely cooled before trying one. The first bite was pretty good. The bar was still warm, and the flavor was everything I hoped it could be. However, the bar cooled quickly, and by my final bite, it was just too crunchy for me. I’ve made toffee before, and I love the slick crunch I experience with every bite. But with these bars . . . I felt like I was trying to eat a rock. I really, really wanted to like them. I did. But not at the expense of losing a tooth. It’s quite possible that my adjustment to the recipe is what did it in, as I didn’t not follow the original recipe exactly. Then again, I’ve made that particular substitution for dark brown sugar plenty of times before, without any issue. In retrospect, this probably would have been a great bar to dip into an afternoon cup of coffee, but I because I didn’t love these bars, I didn’t want to waste any more time on them. Preheat oven to 325*F. Whisk flour, baking powder, and salt in medium bowl. Using a stand mixer fitted with the paddle attachment, cream the butter, sugar, and molasses until fluffy, about three minutes. Add the espresso and almond extract; beat for 1 minute. Add flour in 3 additions, fold in chocolate chips. Spread dough into ungreased 9×13 inch pan. Pierce with a fork at 1 inch intervals. Bake 45-50 minutes, or until edges are light brown and beginning to crisp. Cool for 1 minute, then cut into squares. Transfer bars to cooling rack; bars will crisp up as they cool. I have the very same recipe clipped, I am glad to read your honest review, it is the second Ive read where it wasn’t what the baker thought it should be. They sure look good though! I fully admit, the problem could be that the finished product didn’t meet my expectations…but I have to admit, I felt a slight sense of relief that I’m not the only one who experienced issues with these bars. AFTER spending 30 munites looking at all your fun antics, delicious recipes and beautiful pictures, I just have to follow you!! and thanks a lot! it is 8:30am and I am craving SOOOO many of your recent recipes.